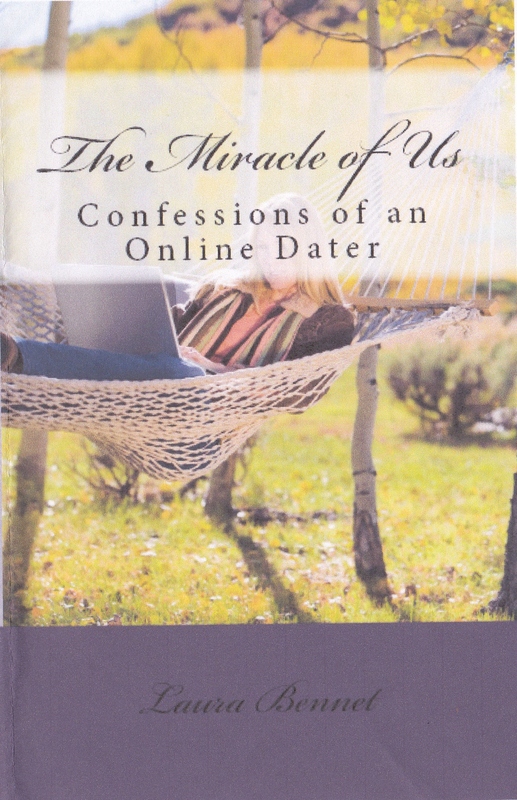 The Miracle of Us: Confessions of an Online Dater is soon to be released! This four year writing project has taken many twists and turns along the journey, but at last, the ultimate love story will be released on February 7, 2014 in time for Valentine’s Day. Laura was a twice divorced mother of four grown children. After two decades of marital devastation, she wasn’t sure if God would give her another chance at love. Brendan, shocked and devastated after the sudden death of his wife, was left a widowed father with three children. He didn’t see how God could overcome their unexpected tragedy. But God held all the shattered pieces of both their lives, and He had a good plan. Could He bring together two families 8,000 miles apart? How would they trust Him with the risks required for such a miracle? With each step of faith, God changed their lives and replaced their pasts with a new story. A story of hope, healing and redemption. And it all started on the internet. The best news is I’m offering a couple of ways to get your FREE autographed copy. Be one of the first 5 (five) people to submit your comment using the following form. If you have a blog, be one of the first 5 (five) people to volunteer to read the book and write a blog post with your review. I appreciate your honest evaluation. Use the following form to volunteer. For anyone who pre-orders by January 24 (you have 2 weeks), you can get 20% off the retail price of $14.99. I will personally send you an autographed copy. Use the following form to pre-order, and I will email you secure payment information. Thank you for your readership and support. Your encouragement means so much! 2013 in Review – THANK YOU! Hi Laura, I just left a long comment on your blog, but it seems to have disappeared. I’ll check back later to see if it reappears. Hello. I also left a comment, but it seems that the website directed me to a blank page with the word “0” on it. Not sure if it went through or not.